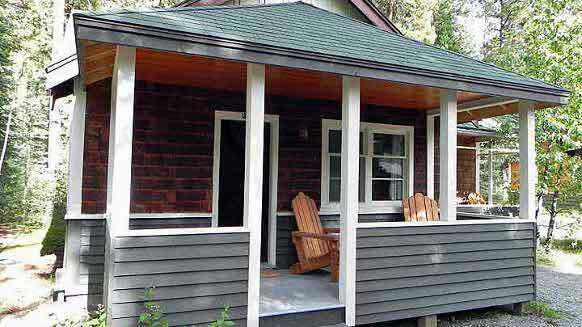 BANFF, ALBERTA, Canada – When looking for great accommodations in Banff National Park and Lake Louise, Alberta, look no further than Johnston Canyon Resort Cabins. Experience the majesty of the Canadian Rockies at this charming mountain resort located near one of the most spectacular waterfalls in Banff. Situated along the Bow Valley Parkway just 25 minutes from Banff or Lake Louise, Canada, Johnston Canyon Resort offers 42 guest rooms and suites ideal for your Canadian family vacation or romantic mountain getaway. There are dozens of great activities in Banff National Park available to guests staying at Johnston Canyon Resort Cabins. Enjoy fly fishing, hiking, rock climbing, horseback riding, white water rafting and golf as you breathe in the fresh Canadian mountain air. Guided tours of Banff National Park are available through the hotel.